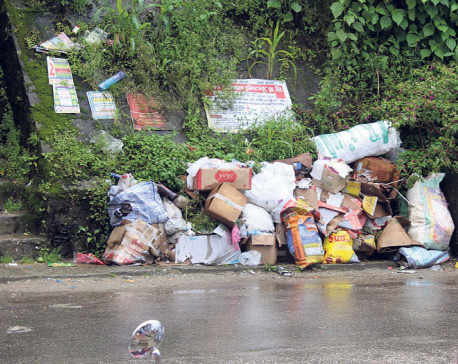 KATHMANDU, July 28: The problem for the management of Kathmandu Valley's waste is likely to recur in the next three months if an alternative to the existing disposal site was not sought immediately. The valley's roads are at risk of stinking again due to piles of garbage in the next three months. Only few days ago, trash that had been piled on the roads for around the one month was managed. The problem of garbage management is increasing day by day in the valley. There seems that garbage management problem would turn into a serious issue for the Valley people if authorities concerned did not feel it necessary to find a long term solution for it. The valley generated 1,000 metric tons on a daily basis while the Kathmandu Metropolis produces 500 metric tons alone. Some 75 percent of waste materials collected from the Kathmandu are managed in the Sisdole landfill site. According to Waste Management Technical Assistance Center's Executive Director Bishwamani Gyawali, it will take time to prepare Bancharedanda, the proposed new landfill site that lies some two kilometres far from the existing landslide site in Nuwakot, for the waste disposal. It will take at least three years to make Bancharedanda readied for the garbage disposal. Temporary landfill site is in need besides Bancharedanda is to be made a permanent solution for waste disposal. The Sisdole site has been so packed that it is likely to be overflowed. The site was constructed in 2062 B.S. with the capacity to deposit garbage only for two years since its construction. The site was expanded four times so far in a bid to increase its capacity. 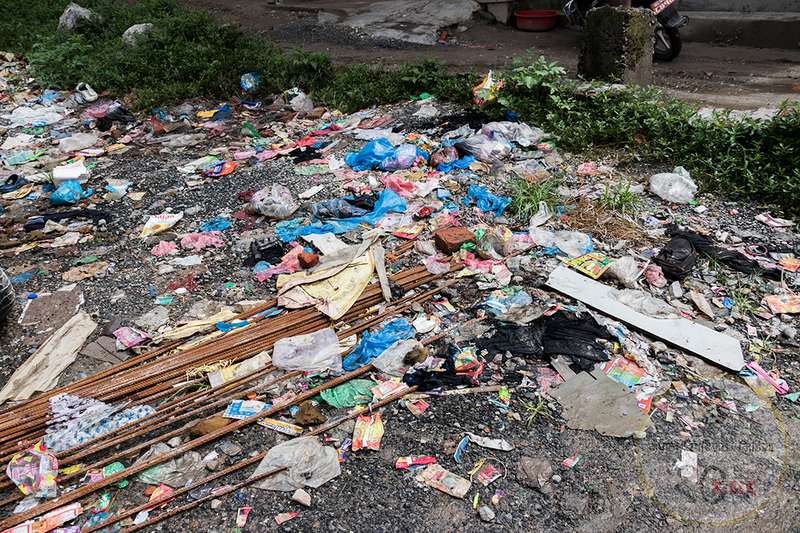 Four months into the preliminary agreement with a private developer to implement integrated garbage management in the Kathmandu Valley, final agreement is awaited however. As the constitution has empowered local levels, it is up to Kathmandu Metropolitan City to manage garbage, said Gyawali. "The KMC should initiate ways from now to manage a new dumping ground. Otherwise big problems will surface," he warned.